After many months of pre-application negotiations with Hounslow Council, we have achieved planning approval on an incredibly tight sight behind The Great West Road. 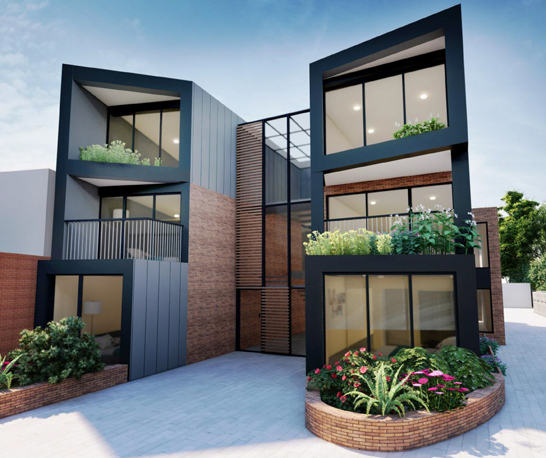 Our design will greatly improve the urban realm and create 6 apartments in a dynamic new building. We worked closely with planning consultants WYG as well as DW transport consultants to turn around the council's view of the site which initially was not seen as fit for development.